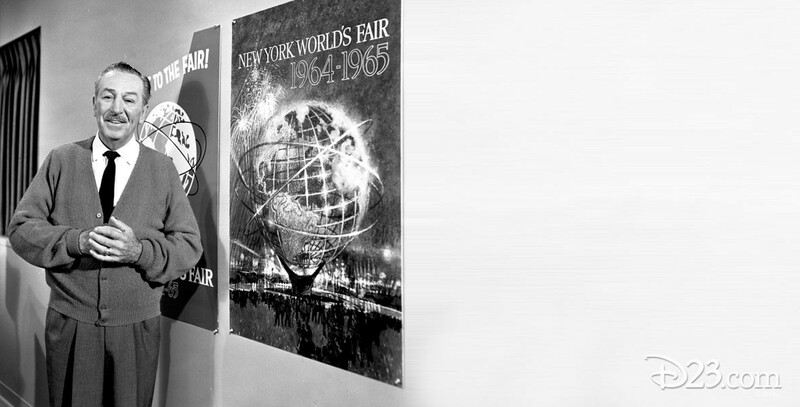 New York World’s Fair Two-year exhibition, 1964 and 1965, which included four Disney shows: Ford’s Magic Skyway, It’s a Small World presented by Pepsi-Cola/UNICEF, General Electric’s Progressland, featuring the Carousel of Progress, and the State of Illinois’ Great Moments with Mr. Lincoln. The Fair premiered on April 22, 1964. After the opening and success of Disneyland, more and more cities had asked Walt Disney to build a Disneyland in their neighborhoods. He resisted at first, making sure that Disneyland was operating smoothly, but when he began listening to the entreaties from the East Coast, he wondered if Disneyland-style attractions would be popular among the easterners. The Fair provided an opportunity for him to test that popularity. If Disney attractions were popular at the Fair, then they should be popular anywhere on the Eastern seaboard–and they were. The Disney attractions had some of the longest lines at the Fair. When the Fair closed in 1965, Disney was able to remove his attractions and re-install them at Disneyland. The organizations that sponsored the Fair attractions therefore helped pay for Disney’s research and development of the four shows, which featured extensive use of Audio-Animatronics, including human characters for the first time.